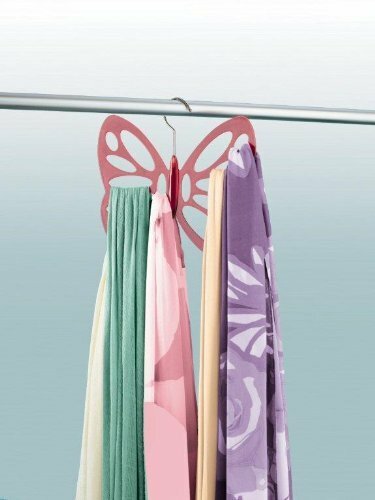 This beautiful butterfly hanger features smooth-edge cut-outs to hold 14+ scarves and shawls, organising all your favourites- from delicate silks and gauzy wraps to cosy mufflers and pashminas - all in one place. Best of all, the unique design makes each one easy to see and retrieve. Saves wardrobe and drawer space too. 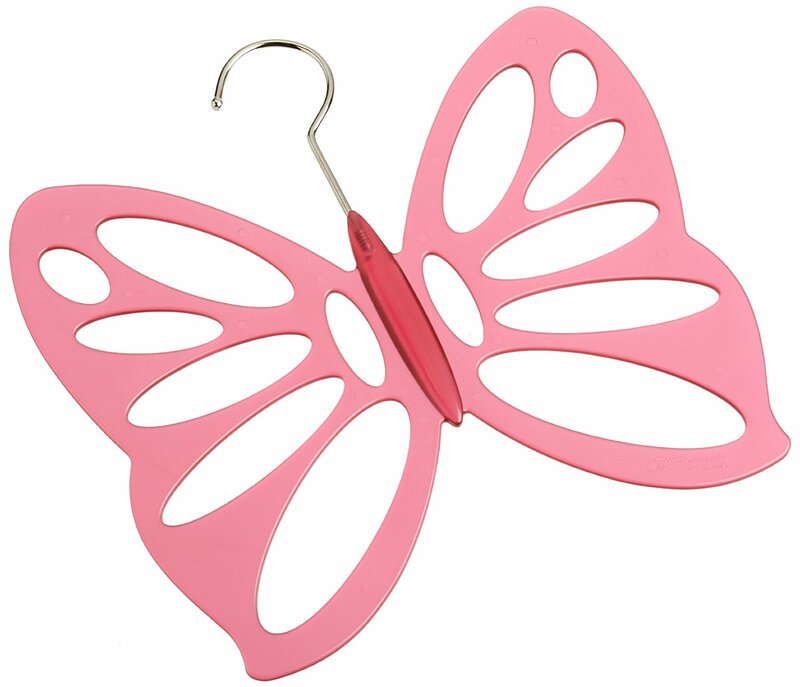 Sturdy plastic with chrome plated metal hanger.